iRig MIX allows DJs to use a traditional setup with two devices (one plugged into each of the independent channels) OR a single iOS device. For the single iOS device setup, the output of the single device is split into dual-mono and sent to the individual channels. This flexibility, combined with the iRig MIX's portability gives aspiring and pro DJs a compact system that can be used everywhere…anytime. Now, you can practice when you want – perform when requested – because your "Rig" is always with you. You can set up in minutes for house, backyard, dance and "after" parties. Play in your bedroom, dorm room, or at sporting events before the big game. Planes, trains and automobiles once meant that your DJ gear was inaccessible. Now, no matter where you are or where you are going, you can mix and rehearse sets. Now you can use your favorite Android DJ app or mixing app to get the party going. 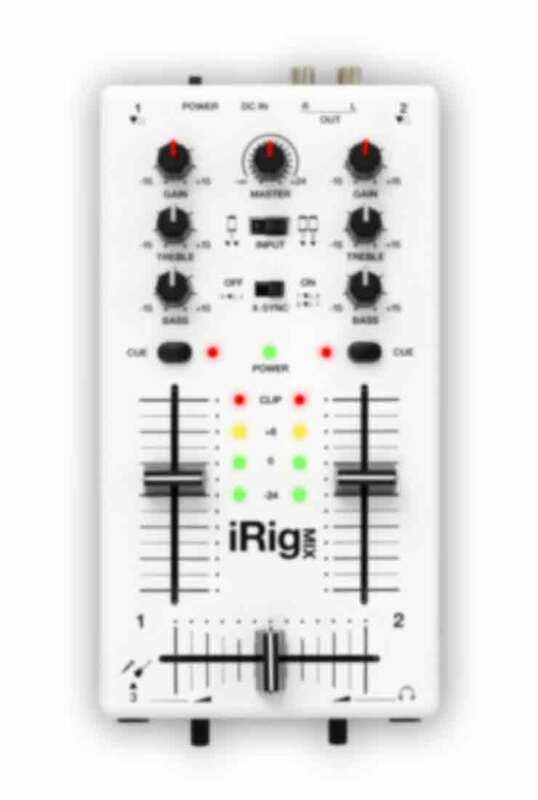 iRig MIX is fully compatible with Android devices, so you can use two devices to mix and DJ like a pro. If your favorite dual deck DJ app supports dual mono output, (the app outputs Deck 1 on the Left channel, and Deck 2 on the Right channel) you can use iRig MIX to mix and crossfade using a single device. iRig™ MIX, DJ Rig™, AmpliTube®, SampleTank®, VocaLive™, are trademarks or registered trademarks property of IK Multimedia Production Srl. All other product names and images, trademarks and artists names are the property of their respective owners, which are in no way associated or affiliated with IK Multimedia. iPhone®, iPod touch®, iPad®, Mac and the Mac logo are trademarks of Apple Computer, Inc., registered in the U.S. and other countries. App Store is a service mark of Apple Inc. Android is a trademark of Google Inc.